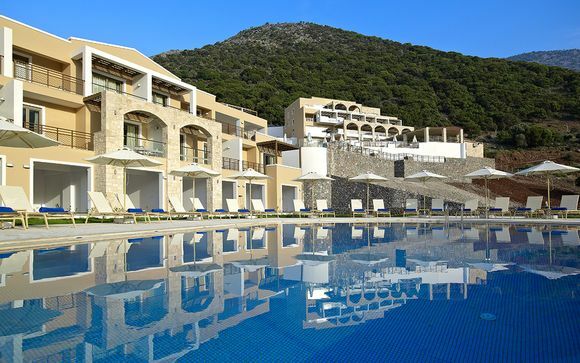 Great deals to Greece up to -70% off To take advantage of these offers, join now for free! 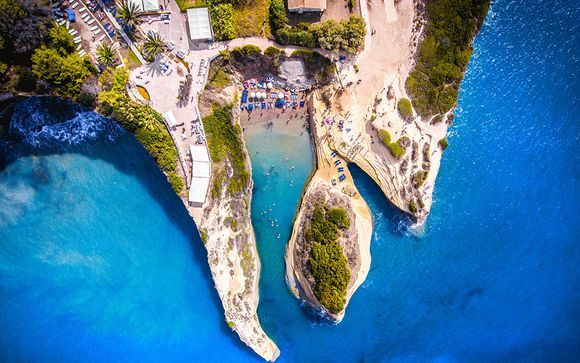 Find great deals to Greece online with Voyage Prive; explore this magnificent country and experience its fascinating culture and beautiful beaches. Greece consists of two mainland peninsulas and many islands in the Aegean and Ionian seas. Its capital, Athens, retains ancient landmarks dating back to the 5th century BC, such as the Parthenon temple and Acropolis citadel. 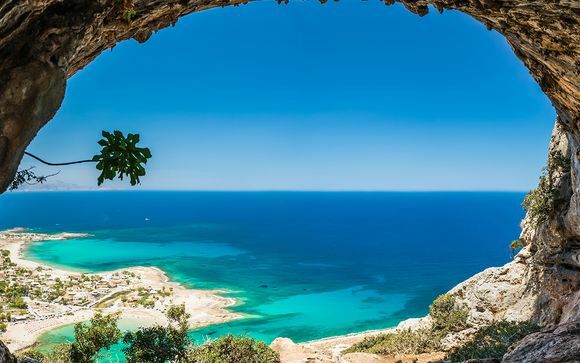 A haven for lovers of cultural holidays, Greece boasts many stunning historic attractions, including the medieval architecture of Rhodes; the Roman and Byzantine remains in Thessaloniki; the historic monasteries of Chania; Mount Zeus and the ancient ruins in Naxos. 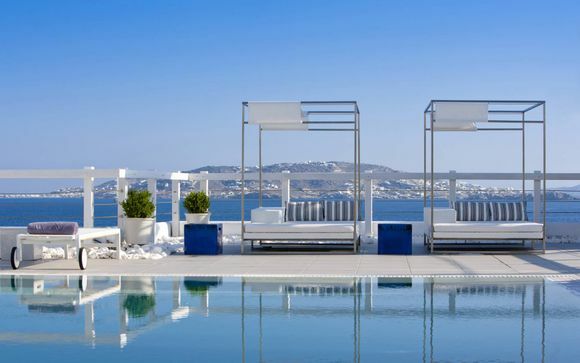 When looking for great deals to Greece, you may wish to stay in the location of some of its finest cultural buildings, such as the Acropolis Museum. One of Athens' most popular tourist attractions, its artefacts include the famous 6th century BC statue, Moschophoros, depicting a man carrying a calf. Greece has many Unesco world heritage sites, such as Delphi on the slopes of Mount Parnassus, where the ruins of temples, a theatre and stadium date from the 8th century BC. Greece's impressive coastline boasts many beaches, with some of the islands alone having more than 20 beaches each. 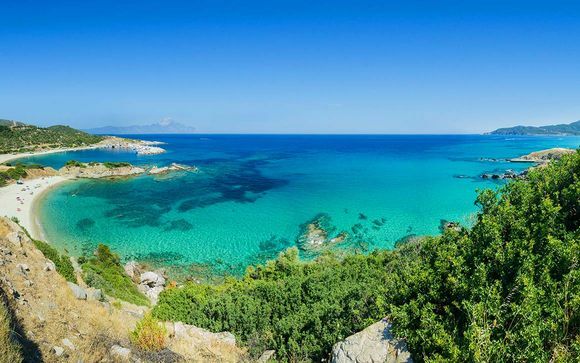 Elafonisi beach, on the coast of Crete, is secluded if you're looking for privacy, while Naxos has many great beaches, with clear, blue sea lapping the long stretches of golden sand. If you're looking for popular, livelier beaches, Paros has Pounda and Piso Livadi, while Ornos beach in Mykonos is family-friendly and famed for its hospitable local people. Greece is renowned for its high-quality cuisine, offering specialities such as spit-roasted and charcoal-grilled meats; pitta bread with various fillings; free-range pork and lamb, sourced locally; taramosalata, a fish dish of roe with breadcrumbs, lemon juice and olive oil; and tzatziki, a popular dip made of yogurt, cucumber, garlic, dill and olive oil. If you're looking for the more unusual, you'll find battered, deep-fried squid on the menu, or grilled octopus with lemon juice. Vegetarians are also well catered for. 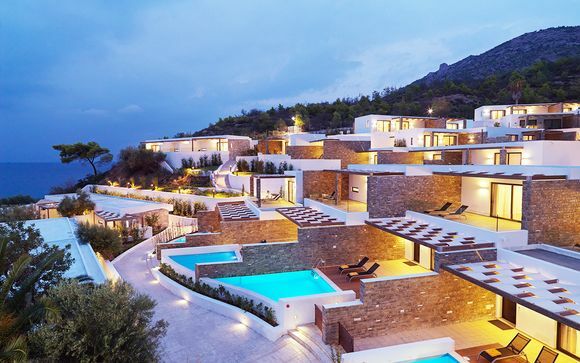 Greece boasts some of the finest four and five-star hotels in the world, with luxury accommodation throughout the mainland and the Greek islands. 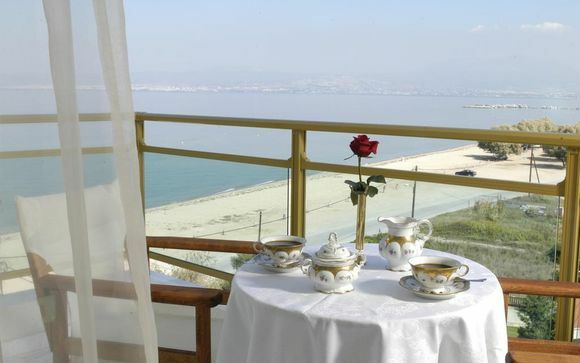 Hotels with luxurious facilities in beautiful settings are plentiful, with services tailored to guests' personal needs. Some are traditional hotels, furnished with beautiful works of art. Others are spa hotels, offering the best relaxing spa facilities for rejuvenation. 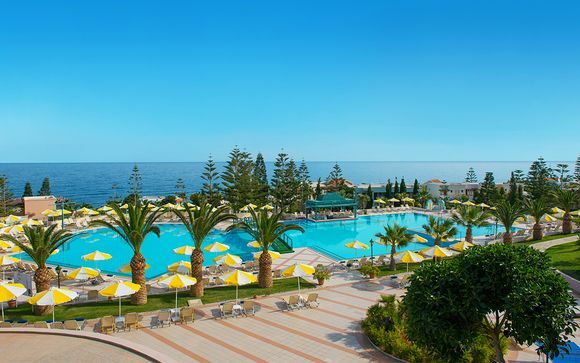 Many hotels are family-friendly, with pools and activities to entertain the children, or if you're looking for a romantic honeymoon reatreat, you will find some secluded gems, nestling between tranquil gardens and olive groves. 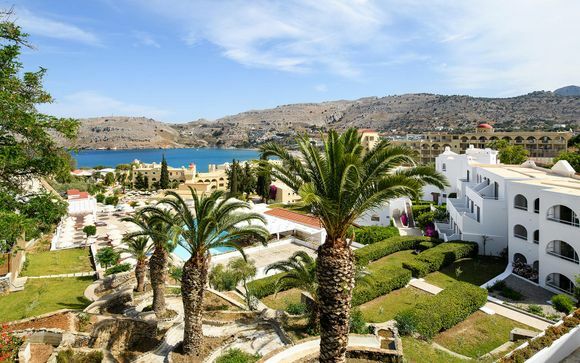 Luxury holidays to Greece can be a rich cultural experience, or simply a chance to relax on the golden beaches, soaking up the friendly local atmosphere. 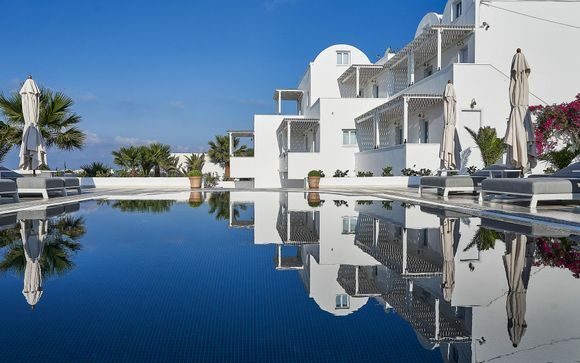 If you're looking for handpicked deals to Greece, sign up today to take advantage of our luxury hotels at exclusive prices.